Surprise! New Season Plans | Mezashite! Well, I’d say we did a great job waiting until the last possible minute to announce this. We were throwing around a few ideas on which new show to pick up (as we’re still limited to a two show per season schedule), and eventually decided on this manga adaptation by Studio Gokumi, most commonly known for A Channel, Saki Achiga, and NakaImo. It’s called Dansai Bunri no Crime Edge, literally translated as Crime Edge of Cutting and Separating (although what we’ll use in the show is still up in the air). 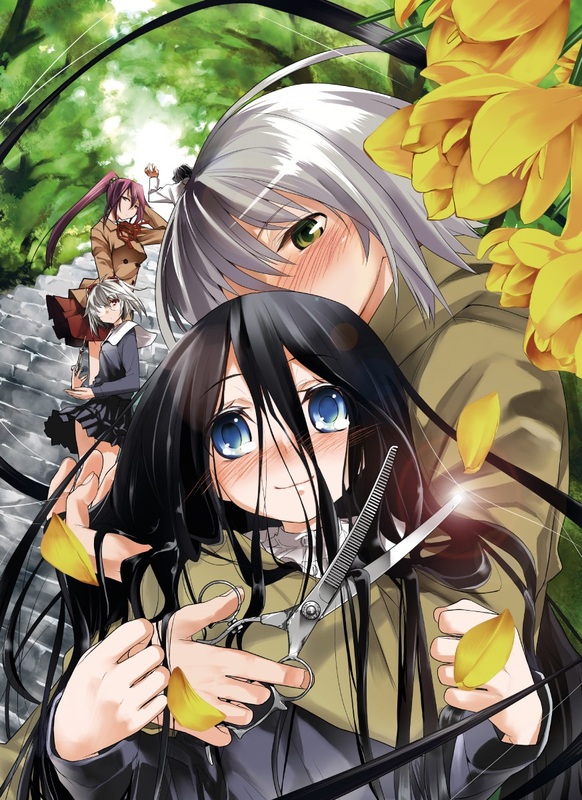 The basic premise is that the main character who loves cutting girls’ hair meets a girl whose hair cannot be cut. Turns out she’s the “Hair Queen”, and Mr. MC must protect her from a group of people who all hold “Killing Goods”, mystical items which cause the user to go insane lest they fulfill their bloodlust. You can watch the incredibly uninformative trailer here. Show airs tomorrow, although it might take us until Thursday for the first episode. Staff distribution will be the same as for OreShura. This entry was posted in Crime Edge, Info by Etoce. Bookmark the permalink. Actually kinda looking forward to this. You seem to be the only guys picking it up too. Thanks for picking this up. By any chance are you going to do Karneval? Do you guys intentionally do anime that are also being simulcasted by crunchyroll or is that just a coincidence? Hey man, we pick series up -before- CR does. Besides, this on is a latecase, not simul.